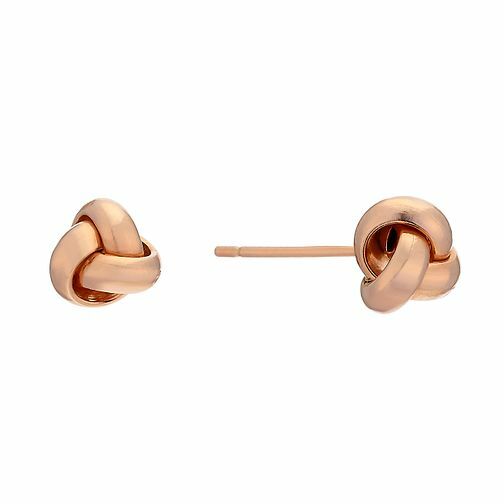 Keep it simple and sophisticated with this delicate pair of polished 9ct rose gold knot stud earrings. Designed for effortless everyday accessorising that works with so much of your wardrobe. 9ct rose gold polished knot stud earrings is rated 1.0 out of 5 by 1.